Not just any pizza. This one had the works on it. 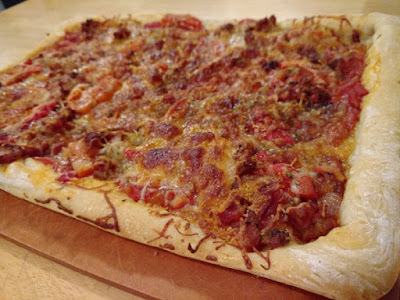 Onion, Bacon, Sausage, Roasted Peppers, sauce, cheese. Not bad at all. And not a lot leftover. 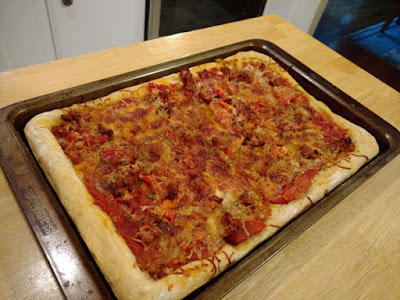 The pizza dough was the Jim Lahey recipe. And I keep forgetting that I have his pizza book on my Kindle. Oh well, next time. Maybe next Sunday. oh boy that looks so good! YUM!! !